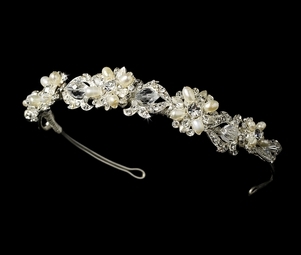 Description: This shimmering modern yet vintage headbands features a floral arrangement of freshwater pearls, Swarovski crystals, and rhinestones. 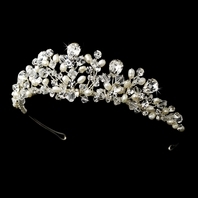 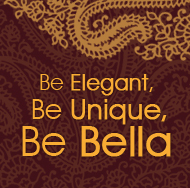 Perfect for the any bride. 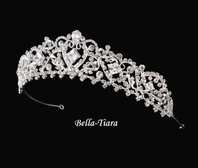 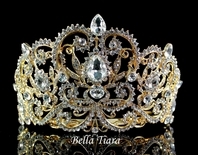 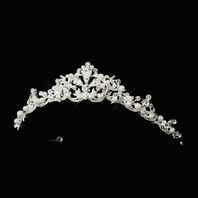 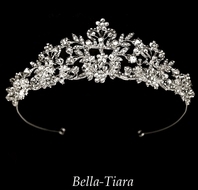 The ornamented portion of the tiara measures 8-1/4" wide and 1" tall, and the piece ends in loops that allow you to fasten it in your hair with bobby pins.